Your HVAC system distributes warmed or cooled air throughout your home via a network of air ducts. 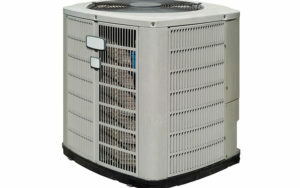 This HVAC air distribution system is designed to deliver the comfort you need in winter and summer. At Straight Line Heating and Cooling, we offer a complete lineup of air duct services, ranging from new air duct fabrication to ductwork insulation. Each of these services helps your HVAC system do the job it was designed to do: keep your home comfortable. Our end-to-end air duct service begins with high-quality air duct fabrication at our state-of-the-art sheet metal shop in Paso Robles. Our skilled fabricators build and assemble the air ducts that source new-construction projects all over the Central Coast. Our fabricators do precision work, paying careful attention to detail throughout the process. They ensure optimal performance and maximum lifespan for your ductwork. In tandem with our ductwork fabrication services, we also offer expert HVAC system layout and design to prepare your new HVAC system for installation. The vital HVAC duct work we do for our customers in Paso Robles and the surrounding areas includes high-quality air duct installation services. We start by making sure your system’s layout and design are optimal for your new home build. Then we coordinate our installation with builders, contractors, and anyone else involved in the project to ensure a smooth and timely installation process. Our installers are well-trained and technically proficient. They are dedicated to providing a top-notch install that will serve your needs well for many years. Get in touch with us today if you’re planning a residential or commercial new-construction project in the near future. We’d be happy to discuss your plans and thoroughly assess your needs. For your HVAC system to work well, it’s critical that your ductwork remain in good condition at all times. Damaged air ducts can result in air leakage that makes your system less energy-efficient and impacts your comfort. Regardless of whether the damage is located in the supply end of the ductwork or the return end, your system will have to work harder to heat or cool your home if your ductwork needs repair. If you notice your system is becoming less effective at maintaining a consistent temperature but it otherwise seems to be working well, air duct damage could be the culprit. Our service technicians will carefully inspect your ductwork to see if duct repair service is needed. Another important air duct service we offer is duct insulation. Insulating the ductwork in the unconditioned parts of your home can save you money by reducing the heating and cooling losses that can drastically increase your heating and air conditioning costs. To learn more about our ductwork services, contact us today.